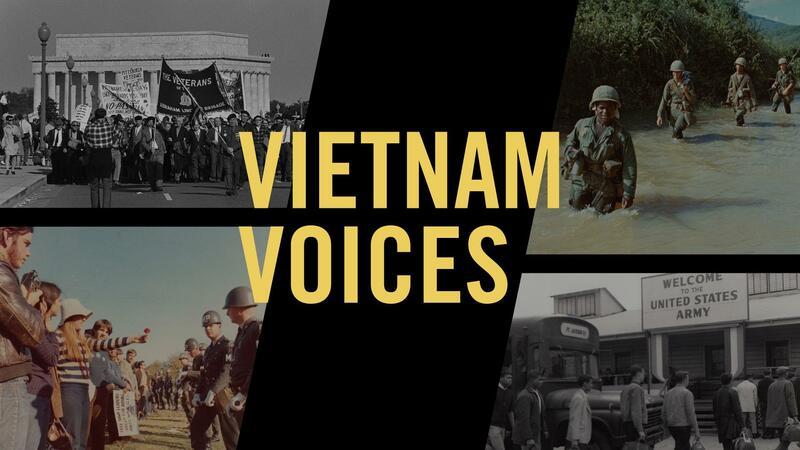 From “The Battle Hymm of the Republic” to “Fortunate Son,” members of the armed forces have always found purpose and solace in music. But unlike earlier generations of soldiers, newer technology like iPods and mp3 players give post-9/11 veterans portable and easy ways to bring their music on deployments. On July 14, 2016 KCPT and The Bridge 90.9 asked local post-9/11 veterans share their stories and songs of deployment for an event we call "Deployment Playlist." We invite veterans and military family members to share their playlists with us and we may contact you the next time we host a "Deployment Playlist" event. Jay Waldo served in the U.S. Army for six years, which included a tour to Iraq in 2007-2008 as a Combat Engineer in a company conducting "IED Hunting" operations in Baghdad. Kevin Jamison served in 2003 as the Signals Intelligence Detachment Operations officer attached to the 1st Marine Division. In 2006 and 2008 he served as the TERPES Officer, programming Airborne Jamming systems to counteract radio controlled IEDs for Marine Electronic Warfare Squadron 1. Bryan Moore served for 23 years in Army Aviation. He completed seven tours to Afghanistan and was a helicopter mechanic in 160th Special Operations Aviation Regiment. Emma Toops is a retired U.S. Army Major, who served for almost 18 years including a deployment to Iraq in 2003-2004. Megan Duncan is the mother of Spencer C. Duncan, who served in the U.S. Army Reserves. Spencer was killed in Afghanistan on August 6, 2011 when the Chinook helicopter in which he was riding was shot down. Louis Eisenbrandt served as a nurse in Vietnam. She shared some of the music that she remembers listening to during the war during the "open mic" portion of the event. Pedro Sotelo served in the U.S. Army for nine years from 1995 to 2004, as a staff sergeant and team leader of a special operations detachment of psychological operations with one tour in Kirkuk, Iraq in 2003. Chris Stout served in the U.S. Army with the 82nd Airborne infantry division until injuries sustained in Afghanistan forced him to retire as a corporal. Ron Brohammer is a Vietnam veteran. He shared some of the music that he remembers listening to during the war at during the "open mic" portion of the event.